Titanium rings with platinum inlay are ideal jewelry pieces for people who love to travel. If you love to go on adventures or live an active lifestyle, exposing your jewelry to the elements is inevitable. You don’t want to bring your jewelry around with you if it will just be an inconvenience. With this in mind, there are certain types of rings that are more suitable for people who are always on the go. 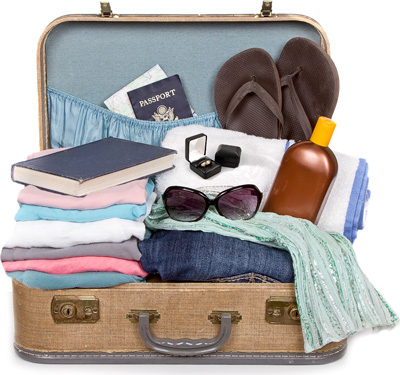 For travel lovers and active people, there’s no need to worry about your ring getting damaged if it’s made with tough metals such as titanium and platinum. Compared with other precious metals such as gold and silver, platinum is very durable. It is more difficult to bend or break, and is very resistant to scratches and the usual wear and tear that rings are often subjected to. The material will also wear down more slowly compared with other metals, making it ideal for rings you can wear wherever you go. Similar to platinum, titanium is also very durable, but with a higher resistance to deformity and a price that’s a lot lower compared with the precious metal. This makes it a great alternative to platinum if you want a very tough ring but without the high price. If you prefer getting a highly durable ring that shows the same luster as platinum, titanium rings with platinum inlay are a great option that offers both metals with a look that’s modern and unique. Another great quality both metals possess is their excellent resistance to corrosion. As a noble metal, platinum does not tarnish when exposed to air and generally does not react with common substances. Titanium too has remarkable resistance against corrosive environments. This makes both metals suitable for active individuals who want to wear their rings at the beach, or in any place where the weather can be quite humid. Frequent travelers would also be pleased to know that both metals are hypoallergenic, perfect for those with sensitive skin. Platinum used in jewelry has a higher purity than other alloys which may contain metals that irritate the skin, such as nickel. Similarly, titanium has good biocompatibility which makes it safe for people with sensitive skin. Here at Avant-Garde Jewelry, we offer customizable titanium rings with platinum for both men and women. You can choose the titanium grade of your ring, the ring and platinum’s width, and even the positioning of the platinum if you like it off center or proportioned to the overall size and design. Feel free to contact us should you have any inquires about out rings. 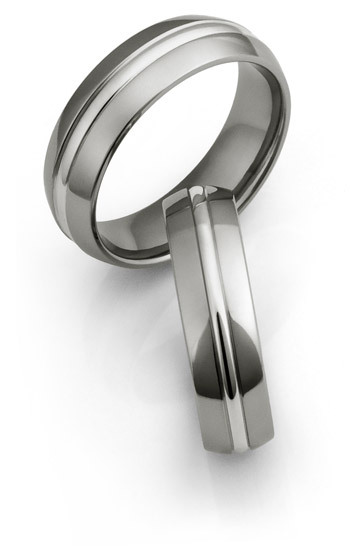 We’ll be happy to provide assistance and give you a price quote for the titanium ring you’ve always wanted.